Just as the name implies, the Blue Ridge amber lager is amber in color and slightly hazy. The brewery's interpretation of a Vienna-style lager is brewed with a combination of Vanguard and Saaz hops along with 2-row pale, C-60, and Munich malts. Note excellent head retention in this reddish-amber lager. We found the nose to be slightly toasted with hints of caramel and chocolate malts and a slight presence of floral hops. True to style, look for a caramel malt dominated flavor and a mild spicy hop character in the background. Look for a dry, malty finish that prevents this beer from becoming too sweet. This is a great beer to drink with spicy chili. This zesty spread blends four cheeses and several spices with your favorite ale. Try it on your favorite cracker or chip. Process all the ingredients in a food processor until smooth. If spread is too thick, give up a little more of the Catamount. Pack into a crock or small bowl, and let sit several hours or overnight in the refrigerator before using. Serve at room temperature. Makes about 2 cups. Hello from the Pacific Northwest, home of the re-birth of the microbrewery! First, I would like to thank you for your beer of the month service. Thanks to you, we've been able to enjoy a lot of great brews from around the country. My question is this: What is meant by the term lagering ? And if I can get two in for the price of one, what is the difference between beer and ale? You might be able to tell from my questions that I am fairly new at this hobby. I don't know much about em, but I sure do enjoy drinkin' them! Keep up the great work! May I call you Harry? I mean, my friends call me hairy and sometimes I get ticked, not because I have ticks, mind you, but because I am hairy. Anyway, Harold, thanks for the kind words; it means a lot to a guy that is usually rewarded with rawhide chewies and Science Diet's interpretation of a Scooby Snack . Lagering is a term that originated from the German word Lagen which means to lie, rest, or repose. The term refers to the storing of bottom-fermented beer in cold cellars at near freezing temperatures for periods ranging from a few weeks to several months and occasionally up to a year, during which time the slow process chemical reactions take place which mellow the beer, reducing any harsh or off flavors. Lagering generally creates a smoother, crisper, and cleaner product. On beer and ale, it's really just a question of semantics. The word beer is used rather broadly to describe nearly all beverages made with malted barley except a couple of strange brews like zee inzamous Zima and zome other peculiar products. 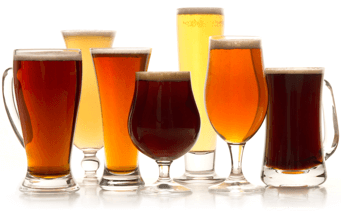 All beers fall into two primary categories or classifications, one of which is Ales, the other being Lagers. Furthermore, there are many different styles such as stouts, bocks, or hefeweizens that fall under each category. 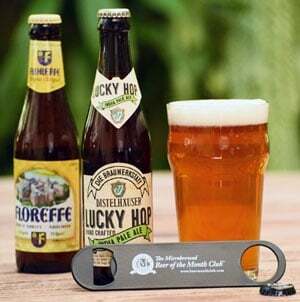 We've included several articles on the various beer styles in past editions of The Brew Harvest Review which can be viewed on our web site at www.beermonthclub.com in the Beer Style Guide Section. Hope that clears it up a bit for ya, Hairy.